I loved the combination of natural elegance and summer blooms that worked wonderfully at the romantic wedding setting of Warwick Castle. 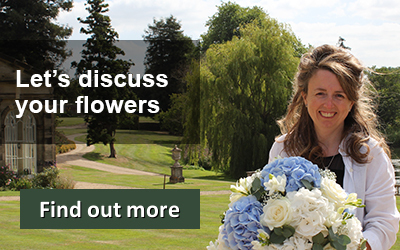 When I met with Justyna to discuss her wedding flowers she had a full weekend of wedding planning as the couple live and work in London so they were keen to make decisions and get plans finalised whilst staying up in Warwickshire. 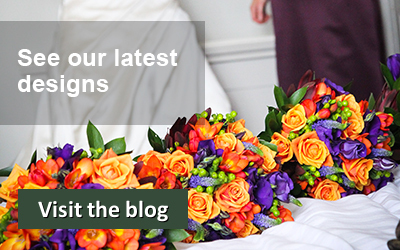 This is never a problem for me as I was very quickly able to establish the exact look and feel that Justyna wanted for her wedding flowers as she looked through my extensive portfolio of clients’ work. We have a lot of brides that live in the capital and come up here to marry. Sometimes, as was the case here, people just fall in love with our stunning venues or other times they are returning to family homes. 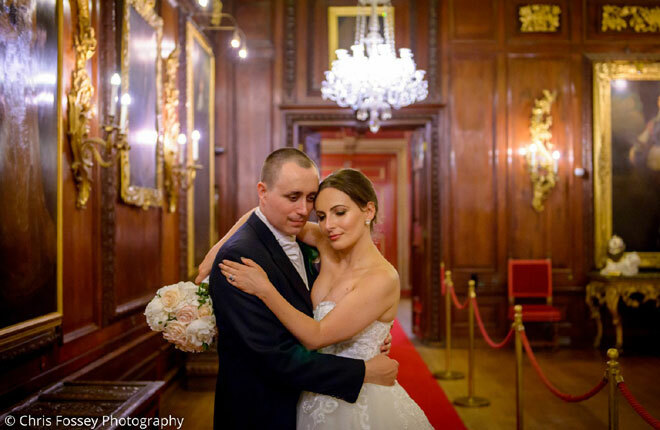 Justyna and Richard had fallen in love with Warwick Castle and that’s easy to understand with its fabulously grand rooms and unique photo backdrops at every turn. As a recommended supplier at the Castle we’ve been working on weddings at Warwick Castle for nearly ten years and I love it as much today as the first time I worked there. As a local girl, I’ve grown up visiting the castle so it’s always a pleasure to return. 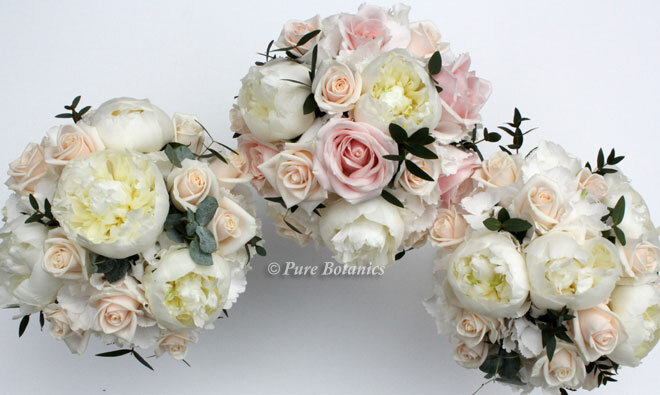 We planned the flowers together combining classic English seasonal blooms with an elegant and sophisticated look. I was absolutely thrilled when I saw the images on Alive Network Entertainments website. They had asked me to contribute to the article they were producing and that’s when I first saw the beautiful images taken by Chris Fossey Photography. I think you’ll agree they are stunning. 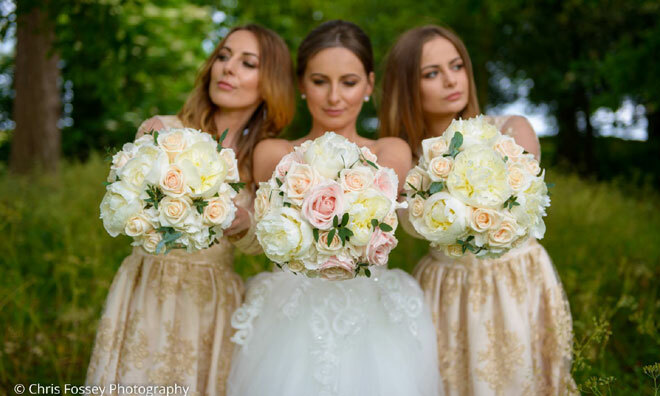 You can always tell when a bride has fallen in love with her bouquet as it features in nearly all of the photographs. The warm tones of the roses echoed the rich soft gold of the bridesmaid’s dresses and the ornate gold lacquer on the furniture and interior of the castle. All this gave a really glamorous look to the wedding. 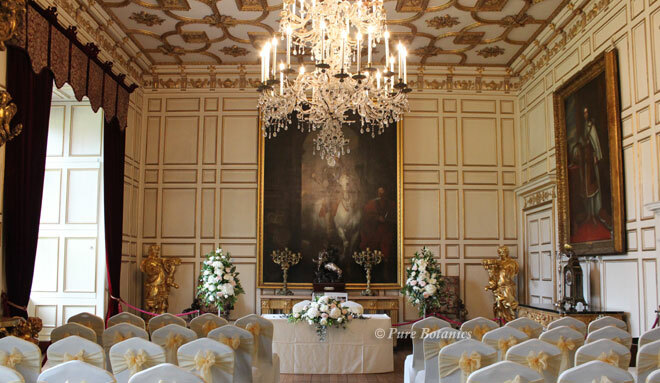 The state dining room is one very special wedding ceremony room with its ornate gold ceiling, statues and chandeliers. 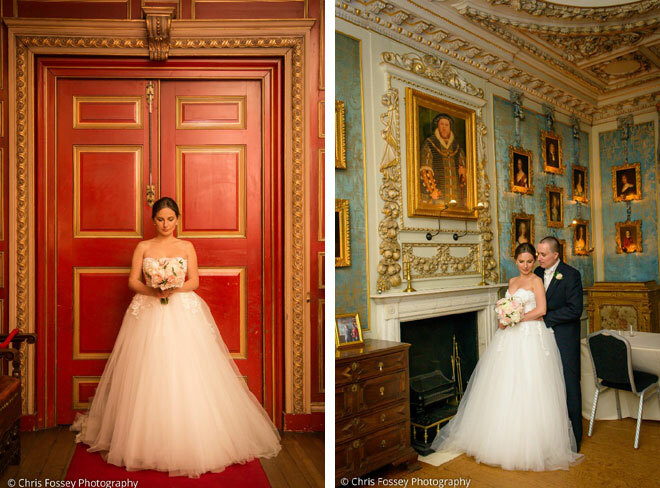 The choice of colour theme was perfect as it fitted so elegantly with the grandeur of the setting. Pedestal arrangements can hold their own in this room (photo above) as they are big enough to stand out, anything too small in this room will just be lost. 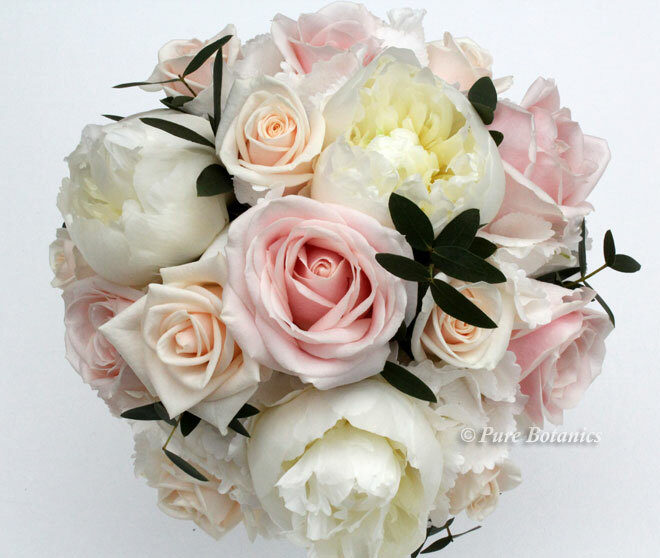 By adding the large hydrangea and peony blooms it helps to make the pedestal arrangements as large as possible. As I placed the couple’s top table arrangement on the table it really set the scene for the romantic wedding ceremony. 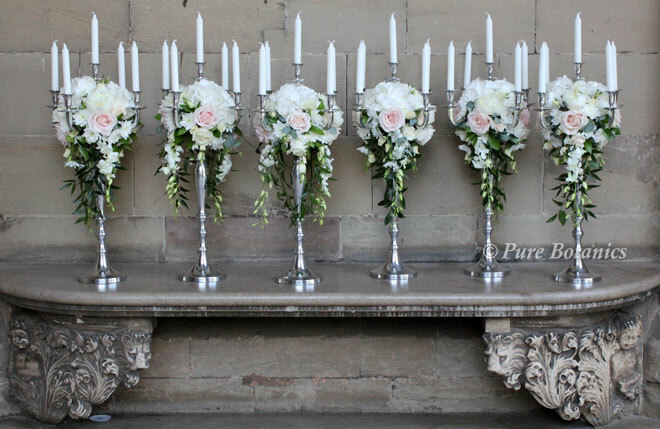 Justyna had seen previous blog posts featuring my candelabra flower centrepieces at the Castle so she had already decided to have these for the Great Hall where the wedding breakfast was taking place. You can see them above, as they’ve been unpacked from the van before being carried up the stairs into the Great Hall. They work fabulous well in this room as the candles look so pretty in the dark stonewall interior and they also fit well with the period features in the room. 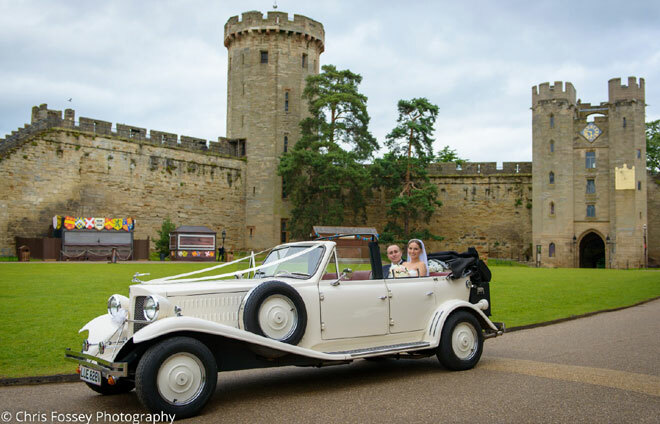 To see more photos of our previous weddings at Warwick Castle be sure to visit our featured page. 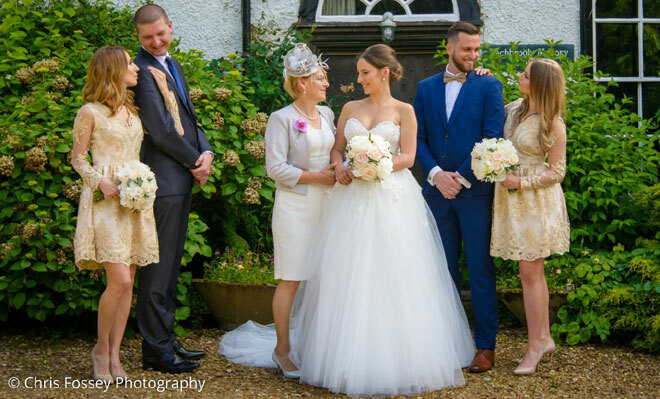 It was a delightful wedding to work on and its wonderful to be able to share the photographs on my website from Chris Fossy Photography. 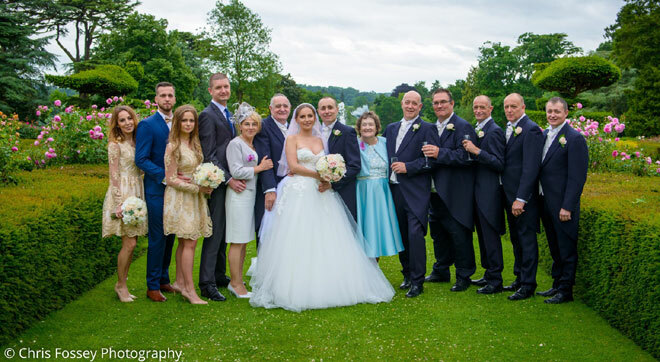 You can also see more images and details of the wedding day on the Alive Network Entertainments Website.